← A Night In With Alan Bennett – Divine! A bit more about film. British film, in particular. 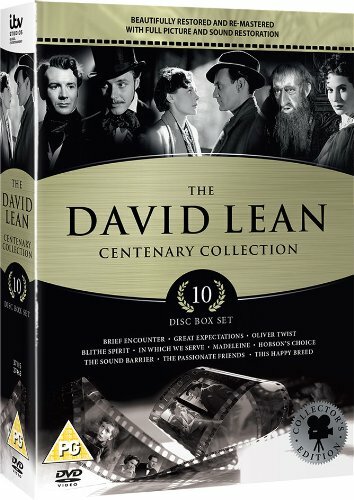 We have a collection of David Lean films (UK) and just opened it up last night. We watched our first film (out of order, I might add), “Hobson’s Choice” – the 1954 version with Charles Laughton, John Mills, and a very, very young Prunella Scales. And by the miracle of YouTube, here is the movie for you – for free! This had me smiling from ear to ear in many place of the film. It’s a lovely, entertaining, funny film and when it was over, I just couldn’t seem to get my face to snap back to its ever-present frown of late, there was just so much to smile about! I loved it. I loved the main female character, “Maggie,” Mr. Hobson’s eldest daughter, played by Brenda de Banzie… what a woman! Throughout the entire film, I just kept pumping my fist and saying “All Right!” etc. She is a force and a wonderful character. Thanks for movies..pass the popcorn please and thank you . Maggie, go back to my page – I just put in – at the bottom – another free movie that looks to be good. They are remaking it in 2015 I believe, as well. “An Inspector Calls”. Another great recommendation, and a link to watch it free; it doesn’t get any better than that!